What do you need to know to make PBIS work for your school? The Northwest PBIS Annual Conference is packed with knowledge and strategies designed to help you implement PBIS schoolwide. From classroom systems to data evaluation and more, the conference sessions explore all facets of an effective PBIS implementation. Educational professionals in the student services and behavioral intervention fields will find a wealth of useful information during this conference. Successful schools are the result of a focus on the academic, emotional, and mental health of their students. PBIS can aid in bringing these three elements together to form a well-rounded student body. The Northwest PBIS Annual Conference will provide a variety of approaches to many of the behavioral challenges facing schools today. “PBIS: Systems for Improving Outcomes for All” is the title of this years’ conference. The conference sessions address PBIS at all levels, from early childhood through high school. If you are tasked with implementing PBIS in a schoolwide setting, you won’t want to miss the exchange of ideas during the three-day conference. Want to know more? Go here for a list of conference sessions. The conference takes place February 22-24, 2017 at the Red Lion Hotel in Portland, Oregon. Registration information is here. PBIS Rewards is pleased to be an exhibitor at this conference and excited to share how our software can help make implementation easier. We hope to see you there! 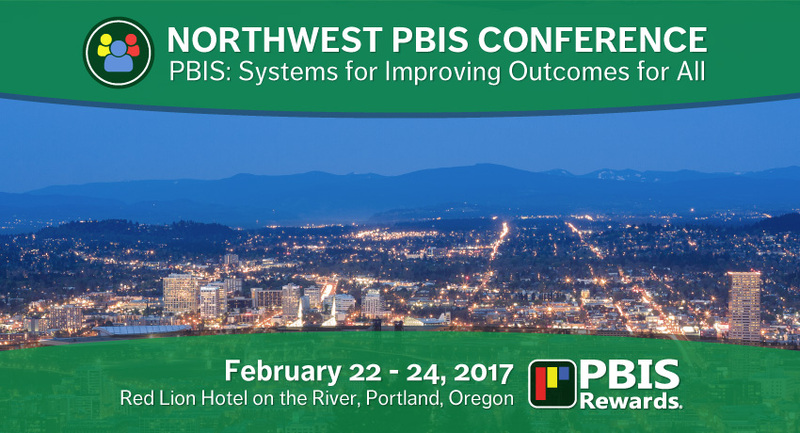 Can’t make it to the 2017 Northwest PBIS Annual Conference? Click here to request a more information about PBIS Rewards.